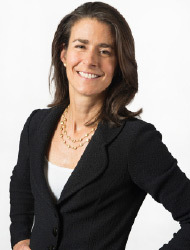 Juliet Davison has been practicing law for over 25 years and founded DAVISON LAW in 2008 after a number of years as a partner at the Boston trial firm of Todd & Weld LLP and several years with the national firm of Skadden, Arps, Slate, Meagher & Flom LLP. Admitted to practice in Massachusetts and New York, Juliet has a broad litigation background and deep experience representing individuals and companies in the trial and appellate courts, before agencies and in mediation and arbitration. Juliet has successfully represented employers and employees in a wide range of employment disputes and issues. Juliet is experienced in bringing and defending a wide array of employment-related claims, including claims for enforcement of non-competition and non-solicitation agreements and other restrictive covenants, claims for gender, race, disability and age discrimination, retaliation, sexual harassment, claims for violations of the wage and hour laws and claims under the Family Medical Leave Act. Juliet regularly advises employers and employees with respect to their legal rights and obligations and frequently represents clients in the drafting and negotiation of employment, termination and severance agreements. She has achieved six figure settlements for numerous employee clients. Juliet frequently represents individuals, beneficiaries, executors, trustees and other fiduciaries in disputes concerning estates and trusts, including the management and administration thereof, the duties of fiduciaries and the interpretation of trust and estate planning instruments. Juliet has a wealth of experience in all aspects of business litigation including shareholder disputes in closely-held corporations, partnership disputes, claims for breach of contract, misrepresentation, breach of fiduciary duty and claims for unfair and deceptive trade practices in violation of M. G. L. c. 93A.